Who Were The Streets In This North Austin Neighborhood Named After? 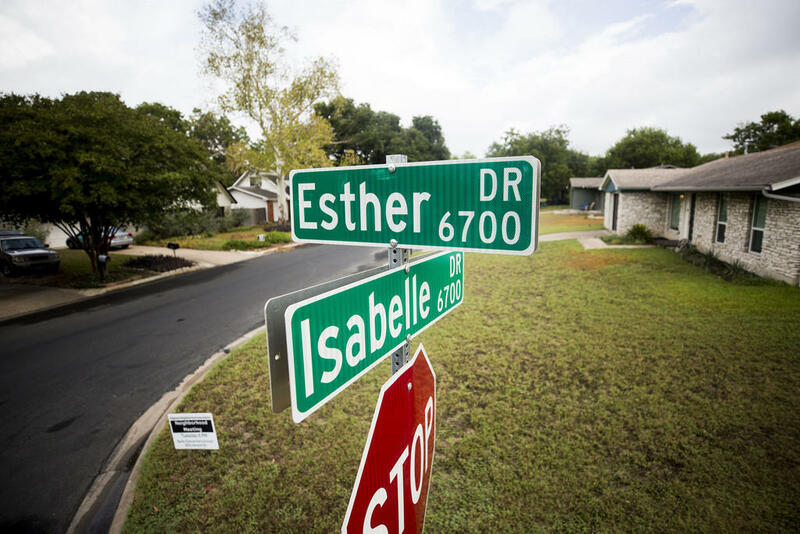 After moving into the Highland neighborhood in North Central Austin, James Arnold got curious about the names of nearby streets. Arnold wondered who the namesakes of these streets were and whether they had played a role in shaping the neighborhood. One day while getting a slice of pizza, he struck up a conversation with the shop owner, who had grown up in the neighborhood. She told him the streets were named after children who died in a fire at the old St. Johns Orphanage. James Arnold wanted to know where the streets in his Highland neighborhood got their names. Arnold wondered if there was any truth to the story, so he asked about the street names in the Highland Neighborhood Facebook group. He didn’t mention anything about the fire, but got several responses from neighbors saying they’d heard the same story. The origins of the neighborhood surrounding St. Johns Avenue date back to the late 1800s. A group of black religious leaders called the St. John Regular Baptist District Association bought more than 300 acres of land there. They opened a school and orphanage. After the Great Depression, the association decided to divide the land into individual plots and sell it to families who needed a place to build homes. 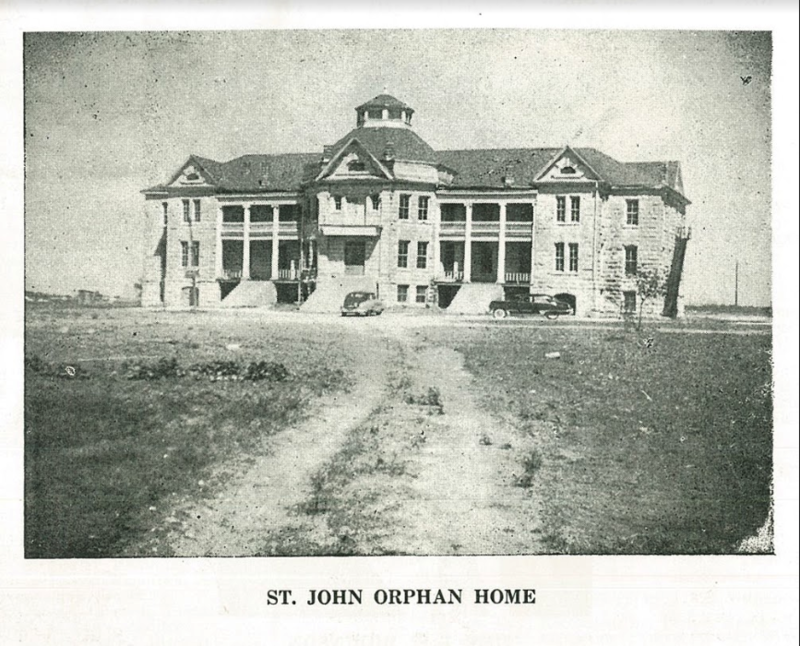 The St. Johns Orphanage shut down in the 1940s. There was some truth to the stories Arnold and his neighbors had heard about the orphanage. The main building of the orphanage burned down in 1956 – but by that time, it had already been closed for several years. News reports from the time show that no injuries were reported in the fire. City records don’t give any indication of who Miranda or Brenda may have been – whether they were people who lived in the neighborhood, or whether they were names the developer thought up on a whim. But rumors about the orphanage have been a part of the neighborhood folklore for decades. Before the fire in 1956, the abandoned orphanage rumored to be haunted. People reported hearing eerie sounds coming from the building at night. Teenagers used to dare each other to go ring the old school bell at the front of the building at midnight. When he walks through the Highland area today, Arnold can’t help but wonder what stories from the past he and his neighbors may be overlooking. They’ve been talking about ways to honor that history. When Can You Call Yourself A 'Real' Austinite? Y'all Had Some Ideas. A couple weeks ago, we asked you to help us answer a question for ATXplained. Sarah Edens moved to Austin about six months ago. She wanted to know: "When can you call yourself a 'real' Austinite?"